﻿ Abode Narrabundah, Canberra | FROM $81 - SAVE ON AGODA! "Great location and great value"
Have a question for Abode Narrabundah? "Very good hotel with good facility and nice location." "Very clean room and well designed." "Nice, clean and spacious room." 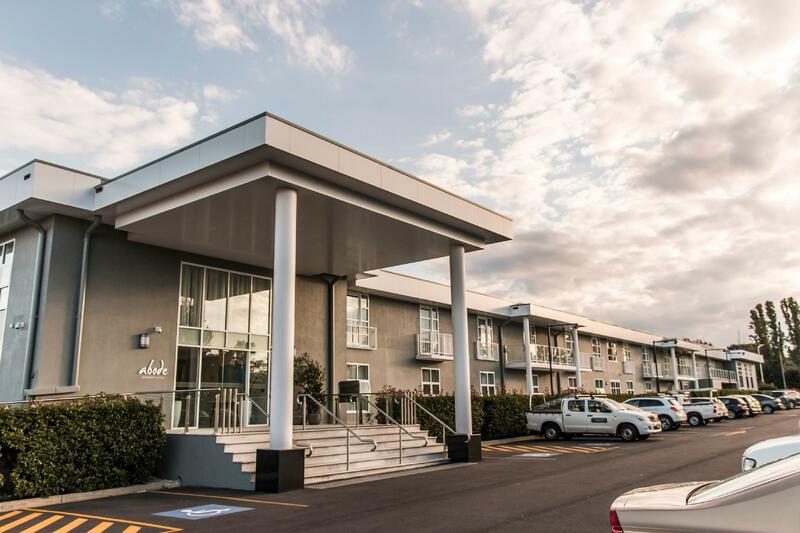 "Staff were friendly very quick and easy check in/ out proces..."
When visiting Canberra, you'll feel right at home at Abode Narrabundah, which offers quality accommodation and great service. Only 20 km away, this 4-star hotel can be easily accessed from the airport. With its convenient location, the hotel offers easy access to the city's must-see destinations. At Abode Narrabundah, the excellent service and superior facilities make for an unforgettable stay. Guests of the hotel can enjoy on-site features like free Wi-Fi in all rooms, convenience store, daily housekeeping, wheelchair accessible, kitchen. Step into one of 86 inviting rooms and escape the stresses of the day with a wide range of amenities such as television LCD/plasma screen, carpeting, linens, mirror, towels which can be found in some rooms. Besides, the hotel's host of recreational offerings ensures you have plenty to do during your stay. 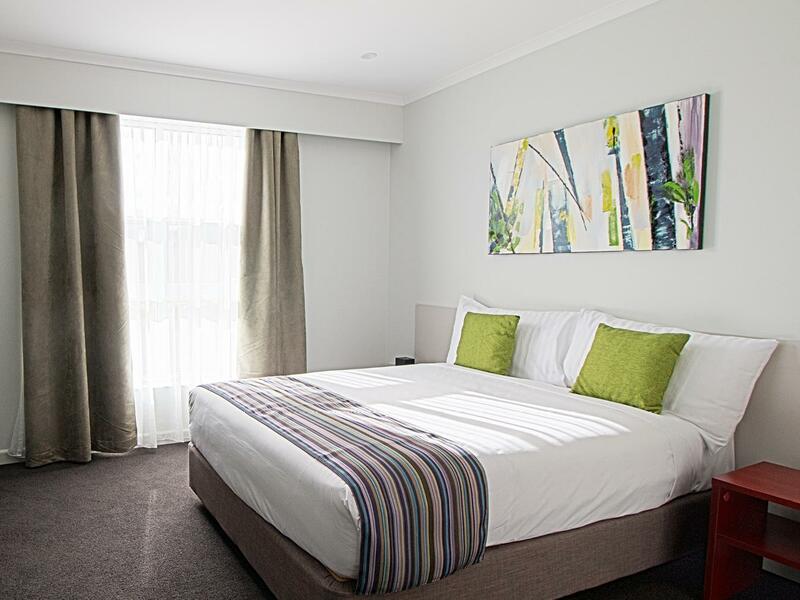 Superb facilities and an excellent location make the Abode Narrabundah the perfect base from which to enjoy your stay in Canberra. "Easy parking and quiet , safe ." Positives are very good, such as cleanliness, location, good size for the 1br apartment, overall friendly staff, plenty of parking, secure building, quiet area, overall feeling of "newness". The negatives were 1. the shower head in our room was almost useless because it sprayed everywhere rather than focused, 2. The shower head caused water to leak out of the cubicle so wet floor morning and might, 3. The sofa bed in the 1BR aptmt is all springs and no mattress so quite uncomfortable. Not bad overall. Great beds, fancy coffee maker, dishwasher and lovely and new. Just a bit of a long walk down the corridor with your luggage, so good to not have to carry much in or have roller luggage. Liked hearing the corellas and galahs fly around the golf course as well. Enjoyed it! Will recommend this new hotel. Bed was comfortable, kitchen was equipped, bathroom, iron & iron board, hair dryer, espresso coffee machine with 2 complimentary capsules, washing machine and dryer, air conditioning, tv, shower, fresh towels, etc. All good. Washing machine had error but not an issue as we only stayed one night. Overall, it was a pleasant stay and good value for money. Spacious rooms. And when I say spacious, I mean SURPRISINGLY SPACIOUS. We stayed in a 1 bedroom apartment, there two beds; one bed in the room, another in the lounge...as if it were a studio. Oh, and the balcony - wowser! My only critic would be the staff out front. Not once did they greet us nor smile at us (on our way in or out of the apartment hotel). Very awkward walking past them at the entrance- did not feel welcome at all. But, the rooms were very homely. All in all, I would highly recommend Abode Narrabundah. Very nice and modern with lots of room. Heaps of parking. And only a short drive to Manuka, Kingston, Questacon, NGA, etc. Will definitely return. We had an incredible 8 night stay at Adobe Narrabundah whilst over the xmas break when visiting family. It was such a fantastic location. The room with kitchenette, washing machine and dryer is what drew me to this hotel in the first place. But the hotel itself our kids loved it (and so did we) and exceed what I hoped it would be for our holiday away from home for that long of time. We didn't have a dog but it was fantastic to see dog owners able to bring their dogs to stay and have facilities just for them. We only heard a couple of barks but you totally forgot there were actual dogs staying. It was fantastic. Highly highly recommend this hotel. Great value. Only 10-15 mins to city. The only thing not good is there will be no reception after 6pm. Although people can check in by calling after hour service number, I think it is not that convenient. Have previously stayed at the Woden one, definitely prefer this one. The rooms are more spacious and bright. Looking out at the golf course is a good view. The rooms are well equipped with cooking utensils and dishwasher too. The washing machine and dryer are in the bathroom, yet it's not cramped for space. Free ample parking is available. There are not too many grocery stores within walking distance but the hotel pantry has the basics. We have stayed here a few times, it's always our go to. Love the kitchenette, the ease of parking(free) the golf and the pantry on offer. Would love to see a bigger rainfall shower head and that would be perfection for me! 😂 But that's just being picky..
We were very happy with our overnight stay at Abode Narrabundah. The room and bathroom was clean, spacious and easily accessible from the car park and the beds very comfortable. Everything we needed was provided for and we appreciated the extra facilities that came with the room such as the small refrigerator and kitchen (even though we did not require the kitchen for our one night stay, it would be terrific for a longer stay - especially as there are no restaurants immediately nearby). The staff were really helpful, friendly and polite, which was greatly appreciated. Overall, very comfortable and good value.